Display head is not included for the deal. Leathers of earphone "donuts" has partly well worn, but I add some Scotch transparent glue as "first aid" for donuts to cover interiors for no more damage. The paint job of the shell is in very good condition. 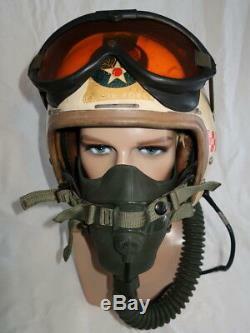 MSA marked A-13A (MS22001) mask is also in ok condition. The cable/lead was well worn from a couple of positions so I add some black tape as "first aid" for the lead too. 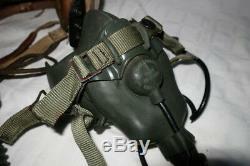 Polaroid M-1944 goggles are in very good condition. You need to do some restoration jobs, but anyway it is a rare P-1A with all original Korean era colours. 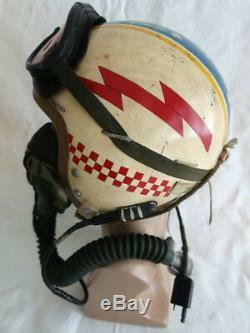 Somehow those red & white checkers on both sides are like Don Gentile's P-51B "Shangri-La's" nose checkers of 336th Sqn... Unfortunately I don't know Mitchell's Korean War unit, but 336th Squadron took part of Korean War as well. 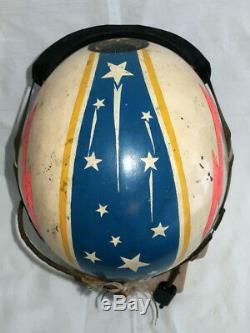 The user of this helmet was Lt. 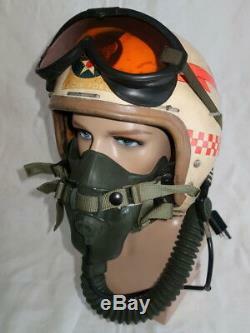 He was a Command Pilot totalling 10 500 military flight hours. His many awards included the Air Force Commendation Medal, the Air Medal, Korean War pilot and Vietnam War Pilot. His favorite aircraft was C-5A Galaxy. He retired in 1982 with 30 years of service. Later he was employed with Flight Safety International, New Castle as a Flight Safety Instructor/Simulator Instructor Pilot. 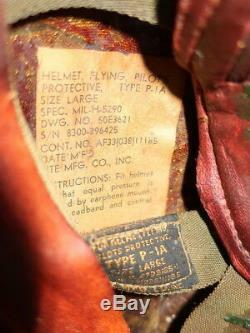 He had also worked as a private pilot. 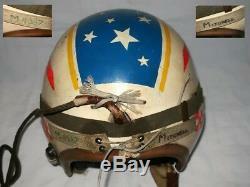 While I bought this helmet in 2008, it had 1952 dated MS22001 mask which was in very, very bad condition. I replaced the well worn mask with this A-13A mask. 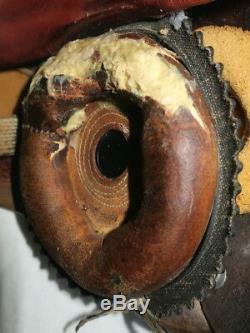 And humid Autumn weather does not make good for leather parts of this old helmet. 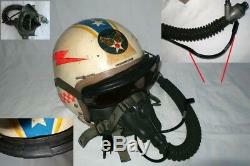 I need also some space for my other helmets, so just now I will offer this helmet for sale ;O. 93 euros and Australia/Japan/NZ etc. 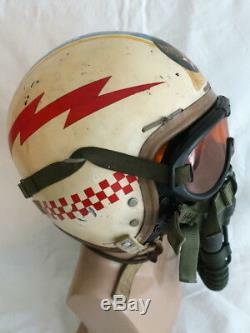 The item "USAF Fliegerhelm P-1A Flight Helmet Jet Pilot Korea War Era Oxygen Mask A-13A US" is in sale since Friday, January 25, 2019. 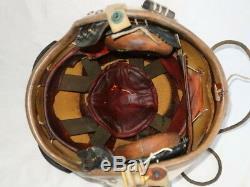 This item is in the category "Sammeln & Seltenes\Militaria\Ab 1945\USA\Helme & Kopfbedeckungen". 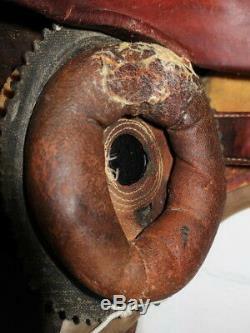 The seller is "hoboa1" and is located in Home. This item can be shipped worldwide.